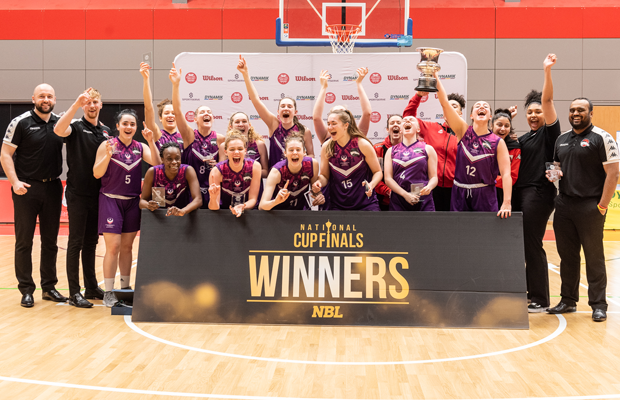 Loughborough Riders had little trouble dispatching of Reading Rockets with an 81-54 victory to claim the 2019 Women’s National Cup on Sunday at Essex Sport Arena. Holly Winterburn dominated, particularly in the first half, on her way to MVP honours with 27 points, 10 rebounds, 5 assists and 5 steals on 11-of-17 shooting. The Oregon signing had 13 points in the opening quarter and 20 with five minutes to play in the first half, as Loughborough used a 19-0 run bridging the first and second quarters to take a commanding lead they would not give up the rest of the way. Video: Essex Blades Win the 2016 Women’s National Cup on Kucerkova’s Game Winner!